The makings of a curry – spices, ginger, garlic, onions, tomatoes and coconut milk – are likely already in your cupboard. But how do beginners bring out the best from these simple staples? And which spice mixes perk up everything from flatbreads to salad dressings? 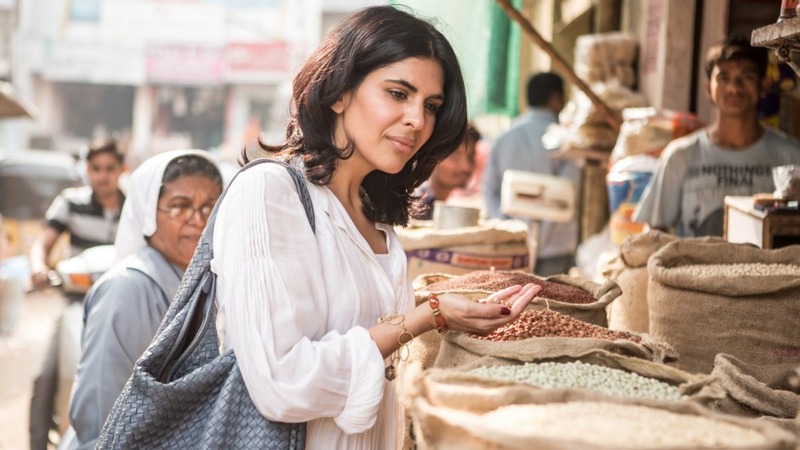 British chef and author Anjum Anand shares her pantry essentials in this introduction to Indian home cooking. With her hugely popular Spice Tailor Indian cooking kit brand, you'd hardly be surprised to hear Anand's spice drawer contains about 20 different containers, from ground turmeric to fixings for garam masala (see below). Powdered spices have a shorter shelf life, but how do you tell the freshness of whole spices? 1. Bite it: The best way to check if a spice is too old is to bite it, which will tell you if there is any flavour and if the essential oils have dried out. 2. Toast it: "You can toast or fry whole spices, and they last really well if you keep them away from sunlight and away from moisture." There are many masalas around the subcontinent, so here are two common mixes: one to make and one to buy. The go-to Indian spice mix is a must for any aspiring Indian cook. Anand always makes her garam masala from scratch. "Garam masala is interesting. As you go up and down the country it changes, so if you try a Gujarati one it's sweeter, but Punjabi is the most aromatic." (See Anand's Punjabi recipe below). The mix should keep for four months, but Anand recommends toasting or grinding a small amount at a time, adjusting the ratio of spices to tailor your own blend. Anand says garam masala is best used with red meat or chicken, and can overpower vegetarian foods, so should be used sparingly. 1. Meaty curries – the darker the meat, the more you can use. Lamb and beef takes garam masala really well. 2. Tandoori marinades – yoghurt, ginger and garlic, lemon juice, salt, cumin powder and garam masala are all you need. 3. Roast meats – rub garam masala and oil into meat (such as lamb shoulder or whole chicken) and marinade overnight before roasting. Anand buys this blend ready-made. Its street food origins meant it was rarely made from scratch by home cooks. The cumin-y garam masala-based spice mix gets a salty-sour hit from black salt and dried mango powder (amchoor, see below). "It adds flavour and tartness and seasoning to anything, and you just cannot go wrong," Anand says. 1. Sprinkle over french fries for a vinegary hit without the sogginess. 2. Sprinkle over grilled fish, meat or vegetables. "It perks it up like nothing else". 3. Salad dressings: "It's sour and salty and spicy – but not spicy curry-wise – and it adds a really lovely dimension." Panch means five in Hindi and this mix – made with whole seeds rather than ground, stars mustard, fennel, nigella, cumin and fenugreek seeds. Buy the mix ready-made or make your own. "After you fry the seeds off in a little bit of oil, every time you take a bite you get another flavour. 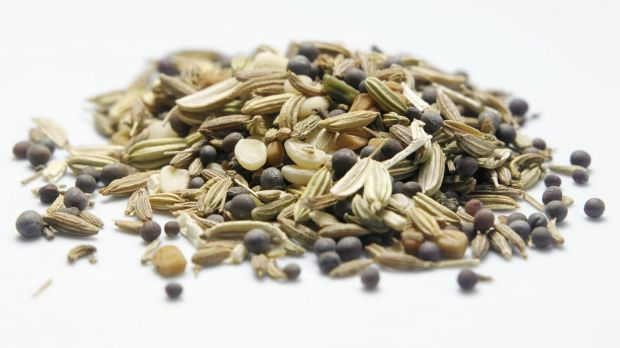 You bite into one [seed] and it's fennel, and you bite into the other and it's cumin, so it's all in your mouth at the same time, it's very explosive flavours." 1. With fish or chicken – fry the seeds in oil first. 2. Vegetables – add to potatoes along with turmeric, salt and chilli. If using other vegetables, such as okra, Anand simply adds tomatoes. "Those seeds carry all the interesting flavours." 3. Salad dressings – think tandoori chicken salad or potato salad, plus the mustard seeds pop in simple vinaigrettes. 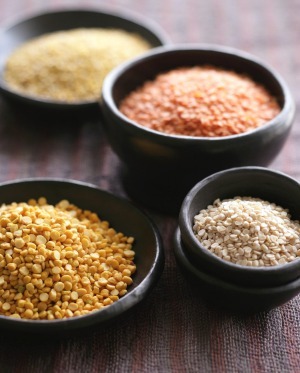 "Lentils are essential for any Indian cook," says Anand. Think of lentils as split, de-skinned dried beans. As their "dal" name suggests, lentils are the stars of dhals, the textures of which changes depending on the size and type of lentil/s used. Anand keeps more than 10 types of lentils. These are three favourites. Mung dal – the whole green mung bean, skin-off, and split – are one of the best because they cook quickly, but don't break down as much as red lentils, which become soupy. "It's very light to digest and it has a very buttery flavour." Chana dal comes from the Indian chickpea (smaller than the chickpeas you may be familiar with). 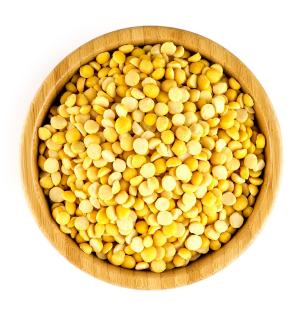 An everyday staple, chana dal is yellow and has more texture than other lentils. "Chana dal is great, but you often mix it with another lentil because it's quite hard to digest," Anand warns. Try a half-half combination of chana dal and mung dal in a classic tadka dhal. When fried, chana dal becomes crunchy "like a peanut" and adds texture to vegetable side dishes. Creamy dhal makhani, a popular Punjabi dish that Anand describes as "the restaurant's favourite dhal" uses black lentils, which, despite the name, are related to mung beans. Chapati flour to make the puffed flatbreads. If you can't source chapati flour, you can approximate it using equal parts plain and wholemeal flours. Chickpea flour, also known as gram flour, is used for batters – think onion bhajis and pakoras – and in steamed savoury cakes flavoured with tadka and crisp curry leaves (see below). The high-protein flour adds nuttiness to flatbreads. Anand keeps white and brown basmati rice. "White [basmati] rice works with all Indian food, especially pilafs because it's delicate, and lentil curries, bean curries – all curries work best with white rice." Brown basmati gives a fibre boost, so, "if you're cooking for friends do white, if you're cooking for yourself and you want to have a healthy meal, cook brown." Anand recommends coconut oil and ghee (clarified butter), or a neutral, odourless oil such as peanut oil – fats with high smoking points. "We use chilli powder for colour – we don't like dishes that have no colour – they look anaemic and therefore unappetising," says Anand. Not all chilli powders are created equal. Some are made with the seeds and membrane, "so you get the heat but you don't get the flavour or the colour necessarily," and conversely, colourful powders may not bring the heat. As a balance, Anand uses Kashmiri chilli powder which is a beautiful colour but not so hot. "And for the heat I add whole fresh green chillies." A double dose of colour, and temperature control: win-win. "Indian food is about layers of flavour, and what is really important is that the heat doesn't kill all those flavours. "The heat should kick in at the end, or the beginning and then the end, but it shouldn't be throughout. It wants to bully – don't allow it." While you're at the Indian grocer, grab a handful of mukhwas – a palate-cleansing, breath-freshening mix of fennel seeds (sometimes sugar-coated), shredded coconut, and coriander, amaranth and sesame seeds, that helps digestion. Nibble on it after an Indian meal, sprinkle it on ice-cream or add to this dark chocolate rocky road. Chai should always start with quality assam black tea, according to Anand. Her "zingy" brew is simmered for 30 minutes with soy milk (or dairy), chopped or pounded unpeeled fresh ginger, plenty of green cardamom pods and black peppercorns (if she has a cold) – hold the cinnamon, which she says can be "a bit of a bully". 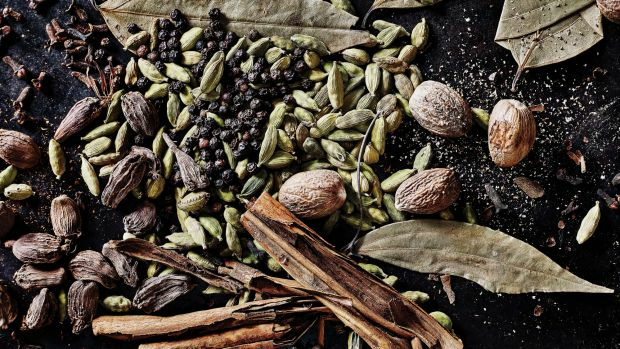 Take your spice drawer to the next level with these suggestions. This whiffy rhizome is related to turmeric and is said to help digestion and reduce flatulence. Add a small amount of the powder to hot oil before cooking lentils and legumes: "An Indian will always add a little bit of asafoetida, so that you'll digest the lentils better," Anand says. Once the pungent smell is cooked out, the flavour becomes garlicky. Anand describes their flavour as "like spicy thyme". Add to flatbread dough, samosa batter or tandoori fish dishes. These aromatic leaves are typical of coastal Indian cuisine; often fried crisp and used as a topping. Anand recommends sourcing fresh leaves and freezing them, or drying them in an oven. "When you buy them [dried] from the supermarket you just don't know how old they are. I've never found they have much flavour." Add home-dried leaves to soups and stews, or fry from fresh and add these and fried mustard seeds to yoghurt raita for a south Indian side. The split, skinned version of the black lentil (see above) is a small white lentil that can be used to make Northern Indian pappadums, and batters for various fried snacks. As far as dhals go, it's generally mixed with something else, for example, urid dal is the secondary lentil in a Southern-style chana dal. Typical of south Indian cooking, it adds "a lovely fruity sourness to pretty much anything, even a stew." Note: Anand's family is Punjabi, so some of her tips reflect this cuisine. 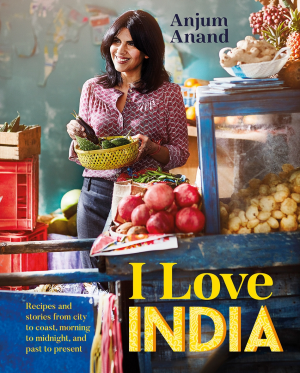 She explores India's regional cuisines in her book I Love India. Place all the spices, except the cumin and nutmeg, in a large frying pan over a low heat. Stir often enough that the spices dry out but don't actually toast – three to four minutes. Add the cumin and nutmeg and toast for 30 seconds. Pour straight into a spice grinder and grind until fine. Pass through a sieve over a bowl and discard any coarse pieces. Place these back in the grinder and grind again until fine. Store in an airtight container away from light. Recipe from I Love India by Anjum Anand, published by Hardie Grant Books, RRP $39.99.